And, we are never, ever the same . . . .
Anna Elizabeth Dueser Nearing, age 96, of South Kansas City, passed away peacefully on November 30, 2017 at Brighton Gardens assisted living facility in Prairie Village, Kansas. Visitation will be held from 9:30-10:30am on Saturday, December 9th at St. Thomas More Parish, 11822 Holmes Road, Kansas City, Missouri 64131. Mass of Christian Burial will follow, beginning at 10:30am. Anna was born on December 27, 1920 to Theodore Dueser and Louise (Pieshl) Dueser on her father’s family farm in Ellinwood, Kansas. Anna was the youngest of five children, having one brother and three sisters. She grew up without indoor plumbing on the farm, where they grew wheat and raised a variety of animals. Anna did the dishes with her older sister, Josephine, who was the closest to her in age. When Anna was 6-years-old she was sometimes responsible for killing a chicken that her family would eat. She spoke of being a “daddy’s girl” and said her father was soft on her and her mother disciplined them more. She followed her father around the farm, helping him out. She said, “When I was young I walked with big steps to keep up with him.” Anna and her family went to Catholic Church every Sunday, unless it snowed too much. Her parents both spoke fluent German so her and her siblings were raised with the German language at home and learned English at school. She remembers her older brother, Frank, as a first grader learning the word “dog” in English and writing “dog” on his paper and proclaiming, “D-O-G, hund!” Hund is the German word for dog. Anna graduated from Kansas State University in 1942 with a Bachelor’s Degree in Mathematics. She taught high school in Kansas for four years and then attended Cornell University in New York for graduate school. She finished the coursework for her Master’s Degree, but her advisor wanted her to do her thesis in geometry, and she wanted to do in practical math, so she never completed the dissertation. It’s at Cornell University where she met the love of her life, Frank H. Nearing. Frank had served in the Navy in 1943 during WWII on a ship in the South Pacific. He was working on his Doctoral Degree at Cornell. They married in 1956 when she was 35 and working at Boeing in Wichita, Kansas. Frank and Anna moved to Iran so that Frank could teach agriculture to Iranian citizens where he had been working for the Aid for International Development program of the U.S. State Department. They moved back to the United States in 1959 to have children in a better healthcare system. Anna and Frank brought three children into the world; their eldest daughter, Jean, and the twins, Elizabeth and Vicki. Anna remained very social, independent, and active in the church and neighborhood. She often hosted bridge games which she learned to play in Iran from Frank, who learned bridge from his Baptist mother! Anna was involved in many organizations, including the Red Bridge Social Club, AAUW, Red Bridge Homes Association, Girl Scouts, and the PTA.Anna is preceded in death by her parents, Theodore and Louise Dueser; husband, Frank H. Nearing; brother, Frank Dueser; and her three sisters, Clara Crowther, Loretta Pecchioni, and Josephine Aaron. She is survived by her daughters, Jean Nearing, Elizabeth Grant, and Vicki Somodi; and her granddaughter, Rachel Somodi. Anna had a challenging life. Her family didn’t have much while she was growing up and she recalls the Dust Bowl and The Great Depression and how it affected the farm. She suffered from measles and mumps before vaccines existed for them. Anna raised one of her children with Cerebral Palsy and her husband, Frank, died in 1993 from prostate cancer. She was alone after that and resisted finally moving into an assisted living home in 2011. When asked what she would name the title of a book about the story of her life, she replied “Step by Step”. Anna will be remembered as a loving mother, dear friend, and one of the most strong-headed, proud, stubborn, and independent women. Tyler Thomas Truhlar, 30, passed away Monday, March 18, 2019 in Turon. He was born February 10, 1989 in Wichita to Steven Wholey and Tamra Epp and was later adopted by Michael Truhlar. Tyler worked as a grain elevator manager. He loved drawing, working on his truck and spending time with his daughter. He is survived by his mother, Tamra Truhlar of Pratt; fathers, Michael (Mandy Gonzalez) Truhlar of Pratt and Steve (Mardena Jackson) Wholey of Kiowa; daughter, Lillie Truhlar of Pratt; brothers, Brandon Truhlar of Stafford, Levi (Anecia) Beaman of Stafford, Matthew Truhlar of Pratt; and Billy (Merryn) McReynolds of Turon; sisters, Morgan Gonzalez and Mercy Gonzalez of Pratt; grandparents; John and Judy Truhlar of Kingman; girlfriend, Kaylie Brown and her children all of Pratt; and many aunts, uncles, nieces and nephews.Tyler is preceded in death by his grandparents, Alvin and Margie Epp and Jack and Hazel Hunter. Visitation will be Friday 9:00 a.m.-1:00 p.m. at Larrison Mortuary, 300 Country Club Road, Pratt. Funeral service will follow at 2:00 p.m., Friday, March 22, 2019 at Turon Cemetery, Turon with John Hamm presiding. Memorials may be made to Tyler Truhlar Memorial Fund or American Diabetes Association in care of Larrison Mortuary. Beverly Ann Kennedy Gatewood, of Duncan, passed away on Tuesday, May 22, 2018. She was born on March 12, 1939, in Lyons, Kansas, to Alvin and Doris (Sharpe) Kennedy. Funeral services will be held at 10:00 A.M. on Friday, May 25, at Eastside Church of Christ with Ron Stough officiating. Burial will follow at the Duncan Cemetery under the direction of Whitt Funeral Home. Beverly attended Chase, Kansas public schools and attended Emporia State University, majoring in Elementary Education. She was employed at Halliburton from 1970 to 1991. She was a Well Pressure Test Chart Reader and then, when that department closed, she became an administrative assistant until her retirement. She married John Richard Gatewood on March 17, 1984. She enjoyed shopping and decorating her home. She also loved watching classic movies and listening to music. Beverly is survived by her husband, John; children, Dan and wife Connie Gatewood of Brenham, Texas; Jeff and wife Esther Gatewood of Hudson Oaks, Texas; Mike and wife Vicky Gatewood of Saginaw, Texas; daughter-in-law, Lea Ann Gatewood of Houston, Texas; grandchildren, J.R. Navarrette, Nathan and wife Bonnie Gatewood, Logan and wife Carly Gatewood, Lindsey and husband Travis Wendt, Evan Gatewood, Sarah Gatewood, Paul and wife Demi Gatewood, and James Gatewood. ; great-grandchildren Alyssa, Daniel, and Angelica Navarrette, Atalie and Riley Gatewood, Silas and Aubrey Wendt, and Fletcher Dan Gatewood. Sister, Sheryl and husband Wayne Lind; Brother, Howard and wife Judy Kennedy; and her very special friend, Sandra Cooper. She was preceded in death by her parents and Preston Gatewood. Pallbearers will be Dan Gatewood, Jeff Gatewood, Mike Gatewood, Nathan Gatewood, Logan Gatewood, and James Gatewood. Memorial contributions can be made in Beverly's name to Beautiful Day Foundation. Danny Lynn Gilkey was born March 6, 1966 in Larned, KS. He passed away in the Good Samaritan Home February 21, 2019 in Hays, KS. after many health issues. Dan which he preferred to be called was an over the road trucker till health issues started taking over. He resided in Phillipsburg, KS. with his companion, health care giver, Nancy Quinn for many years. Dan is survived by his mother, Karen of Belpre, KS. one brother Randy Gilkey of Belpre, KS. a nephew Austin Gilkey and family of Macksville, KS. and a niece Bridget Blevins and family of Stafford, KS. and six great nieces and nephews. Dan was preceded in death by his father, Melvin four years ago. Graveside services are planned for 2 pm on March 6, 2019 in the Belpre Cemetery, Belpre, KS. with pastor Brian Blackburn presiding. Dan will be missed by all his family, friends and acquaintances. Daughter of Charles and Elva (Wilcox) Yoder, was born in Yale, Oklahoma on September 20, 1944, and was blessed to spend her final days with her loving family at her son’s home in Phillipsburg, Kansas where she peacefully passed away on January 22, 2019, at the age of 74. Eva moved with her family to Chase, Kansas in 1952 and graduated from Chase High School. Eva married Chuck Babcock in 1962 and to this union four children were born. Eva later married the love of her life, LeRoi Dillon on February 3, 1996 and gained four more wonderful children. They made their home in Norton and Nickerson, Kansas, before moving to their home in Logan, Kansas. Eva enjoyed camping and crafting, but her favorite time was spent with her family, especially her children, grandchildren, and great-grandchildren. Survivors include: eight children, Diane, and husband, Steve Bliss, Logan, Kansas; James, and wife, Jama Babcock, Kechi, Kansas; Allan, and wife, Deanna Babcock, Lenora, Kansas; Steven, and wife, Christy Babcock, Phillipsburg, Kansas; Wayne, and wife, Marcia Dillon, Hutchinson, Kansas; Annora, and husband, Rick Matzek, Kearney, Nebraska; James, and wife, Michelle Dillon, Kansas City, Missouri; Patricia, and husband, Lee Dreher, Drexel, Missouri; three brothers, Bob, and wife, Doris Yoder, Fort Worth, Texas; Don Weaver, Phoenix, Arizona; Charlie, and wife, Gale Yoder, Hutchinson, Kansas; one sister, Eve, and husband, Jon Wyatt, Norton, Kansas; 24 grandchildren; 24 great-grandchildren; several other relatives and friends. Eva was preceded in death by her parents, husband, LeRoi, one brother, Jerry Yoder, and the father of her children, Chuck Babcock. Funeral service – Friday, January 25, 2019 – 10:30 a.m.at –Christian Church – Logan, Kansas. Visitation – Thursday, January 24, 2019 from 5:00 p.m until 7:00 p.m.at the Christian church, 204 n Douglas St, Logan, KS 67646 Interment – Pleasant View cemetery – Logan, Kansas Memorials – Christian Church in Logan or Eva Dillon memorial fund. Johnnie K. Thornton, 90, of Chase, passed away December 27, 2018 at Good Samaritan Society, Lyons. He was born January 27, 1928 in Marland, Oklahoma, the son of Otto and Florence Burgill Thornton. He attended Chase High School. Johnnie has resided in Chase since 1949, formerly of Burrton, KS. At the young age of 17, he was a tank truck driver for Sinclair. In 1985, Johnnie retired as a field pumper for Atlantic Richfield ARCO. He was a member of the Shriners, Royal Lodge #192 A.F. & A.M., Lyons, KS, and a volunteer firefighter. Johnnie was an avid gardener, loved canning, and enjoyed hunting and fishing. On April 16, 1948, Johnnie was united in marriage with Betty A. Clites in Ellsworth, Kansas. She preceded him in death on October 27, 1989. On October 13, 2000, Johnnie was united in marriage with Florence E. Eachus Mellott in Ellsworth, KS. She survives of the home. He is also survived by his two sons, Darren K. Thornton and wife Charla of Paola, KS, and Steven D. Thornton and wife Sandy of Russell, KS; daughter, Sheryl E. Bass and husband Jimmy of Chase; eight grandchildren; and nine great-grandchildren. He is preceded in death by his parents; two sisters, Rosemary Hatcher and Wanda Poole; and son, Johnnie C. Thornton. Funeral service will be 10:30 A.M., Thursday, January 3, 2019 at Birzer Funeral Home, Lyons with Johnnie Hardie officiating. Burial will be at Lyons Municipal Cemetery with masonic rites. Visitation will be from 2:00 to 7:00 P.M., Wednesday, January 2, 2019 at Birzer Funeral Home, Lyon with family present from 5:00 to 7:00 P.M. Memorials can be made to Senior Center, Chase; Chase High School; or Shriners Hospitals for Children in care of Birzer Funeral Home, Lyons. Carol Jean Yarbrough Davis, Class of 1955. Carol Jean Yarbrough Davis died on May 17, 2018 in Oklahoma City, OK at the age of 80. Carol was born in Gary, Indiana on February 1, 1938 to Rev John and Esther Yarbrough. She attended Chase High School and graduated in 1955. She later moved to Bethany, Oklahoma; married and raised her family in the Oklahoma City area, where she lived until her death. Preceding her in death were her parents; sister, Karen Yarbrough, and son, Cameron. She is survived by sons: Riley and Jeff, daughters: Tiffany and Tamara, and several grandchildren. Carol’s sister, Karen Yarbrough, died on April 27, 2018 in Oklahoma City. The sisters were in the same hospital, the same ICU and died within 3 weeks of each other. Karen attended school in Chase, Kansas during the years of 1954-1959. She may not have graduated from Chase High School but would have been a graduate of 1959. 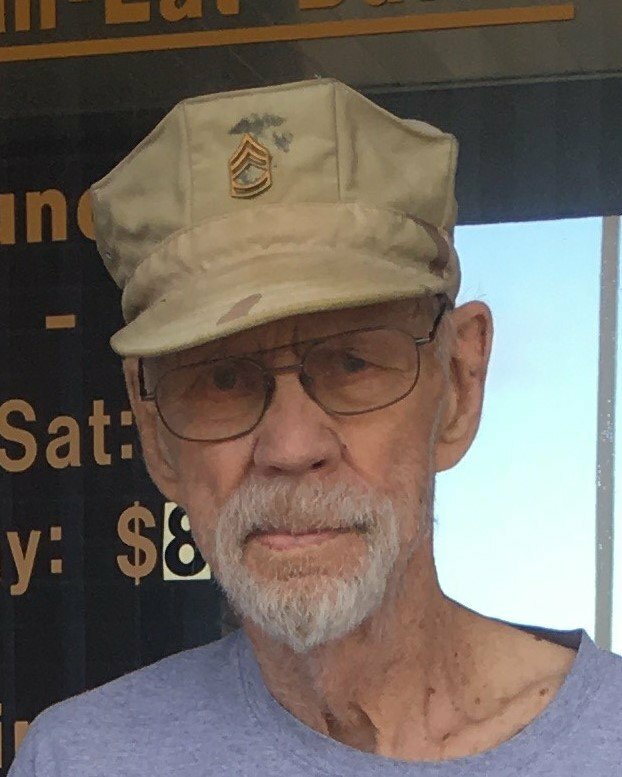 Jack Anderson Taylor, Sr., proud veteran of the Korean War, died November 13, 2018, at Merit Health Central. He was born January 17th, 1932 in Seminole, Oklahoma, the 4th of 7 children to Maple and Lillie Taylor. He grew up in Kansas and joined the Marines at age 18, serving as a radio operator for the Corps and rising to the rank of Gunnery Sergeant. After his service he attended Millsaps College and made lifelong friends as a member of Kappa Sigma Fraternity. Upon graduation he worked for Irby Construction on several projects in the Southeast and even one in Africa. After marrying his college sweetheart, Pansy Barksdale, they settled down in Jackson, MS to raise their 3 children. He worked at various occupations - realtor, banker, car salesman - before retiring from the Army Corps of Engineers in 1986. After spending some time in Kansas and Colorado he settled in Clinton, MS. Jack enjoyed hunting, fishing and sports, especially golf and watching the New Orleans Saints and Mississippi State football. He is survived by his children Tara Hackney (Mike) of St. Augustine, FL, Adair Sulhoff (Matt) of Marietta, GA and Jack Taylor, Jr. (Tanya) of Madison, MS, his grandchildren Noah, Rachel, Anna, Daniel, Joseph and Jacob, and his siblings Maple, Jim (Spunky), Margaret and Mary. A Memorial Service will be held at a later time. The family would like to thank everyone who looked after Jack in his later years: his buddies from Kappa Sig and the Marines, the staff at the VA Home in Jackson, all his doctors and caregivers and his friend Dee. Memorials can be made to the Semper Fi Fund in Jack’s memory, to help other Veterans. On the evening of August 13th, the Lord gently took Barbara Martin’s hand and led her into Heaven. She was born in Stigler, Oklahoma, on September 16th, 1936 to Rowena and Chester Barlow. She is survived by her loving husband Dan, and their 5 children: Todd Irwin, Chad Spencer, Susan, Mike, and Derek Martin; as well as her sisters Judy Bond and Diana Shadrick, 6 nieces and nephews, 10 grandchildren, and a great-granddaughter on the way. Barbara loved to dance, and Dan was her equal. She loved to read and always had a book in her hand, and several waiting. She loved Elvis and his music as well as all the 50’s and 60’s rock n’ roll performers, oh how she enjoyed them. Above all things she loved her family. She and Dan loved to travel, and he enjoyed showing her new places. They cherished each other. She was a loving and kind mother, Grammy, sister, aunt, and dear friend to many. She was preceded in death by her parents, brother Dennis Barlow, and nephew Lance Barlow. She faced many health challenges over the years and fought them bravely, each and every time. A memorial celebration of her life will be held on Monday the 27th at 12:30 pm at Floral Haven, located at 6500 S 129th E Avenue, Broken Arrow, OK 74012, phone number, (918) 252-2518. In lieu of flowers, memorials may be made to St. Jude’s Children Research Hospital, a charity she was passionate about. When Dan’s time on earth is through, he will come to you in Heaven and say, “I knew I would find you here”. Rest in peace dear one and know you were dearly loved. Nov 7, 1952 - Aug 25, 2018 Survived by wife, Cynthia; children, Shane (Lisa) Popp of Santa Monica, CA, Jeremy Popp of Omaha and Stephanie (Eric) Tiritilli of Omaha; grandchildren, Kaden Lindsay, Anna and Sophia Tiritilli, Sophie and Luke Popp; sisters, Ruth (Don) Miller and Betty Fowler; brother, Mark Popp. Preceded in death by parents, Theodor and Viola Popp; sister, Gladys Phelan. In lieu of flowers, memorials to St. Vincent de Paul Food Pantry or Open Door Mission. John Douglas “Doug” Melcher, 76, passed away Sunday, Aug. 5, 2018 at his home in Pratt. He was born April 27, 1942 in Great Bend to Irvin L. and Marcella Contance (Link) Melcher. On June 17, 1972 he married Karen Kay (Snyder) Melcher in Ellinwood. She survives. After high school, Doug joined the United States Navy where he worked as a welder. He owned Doug’s Pumping Service and did work as a contract pumper in the oilfield. He was a member of Sacred Heart Catholic Church and Knights of Columbus. He enjoyed fishing, camping, boating and everything to do at the lake. 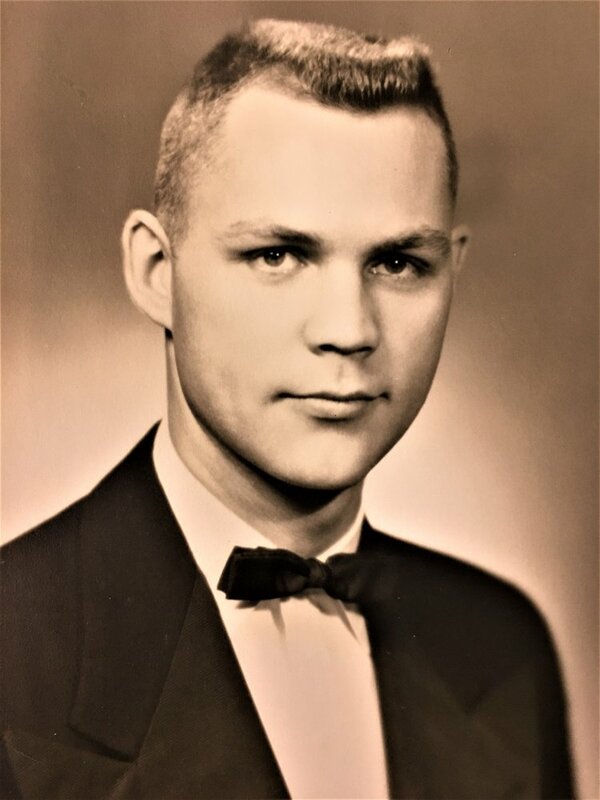 He is survived by his wife, Karen; sons, Bob (Arin Woodson) Melcher of Kansas City, Kan. and Curtis (Martha) Malone of Raymond, Kan.; daughters Tracie (David) Brady of Pratt and Sherryl Malone of Pratt; sisters, Jalayn (Jim) Rowden of Littleton, Colo. and Jeannie (Jess) Penner of Hutchinson; brother, Larry Melcher of Hutchinson; 19 grandchildren; and 14 great-grandchildren. Doug is preceded in death by his parents; son, Shane Melcher; sisters, Margaret Melcher and Janet Branscom. Tammy R. Herrington, age 49, of Wellington, KS, passed away early Monday morning, July 16, 2018 at Via Christi St. Francis Hospital – Harry Hynes Hospice Unit. She worked as a mortgage loan assistant for Verus Bank in Derby, KS. Tammy R. (Wilkerson) Herrington was born on October 29, 1968 in Sterling, KS to Allen R. Wilkerson and Vickie L. (Neal) Wilkerson. She graduated from Valley Center High School with the Class of 1987. She married Michael Herrington on June 18, 2003 in Wellington, KS. She enjoyed spending time with her family, especially her grandchildren, running, and exercise. Survivors include her loving husband of 15 years, Michael Herrington of Wellington, KS; four daughters, Taylor Barker and her husband Tyler of Augusta, KS, Shelby Leatherwood and her companion Tyler Dorsey of Arkansas City, KS, Chelsea Leatherwood and her companion Jesse Bales of Wellington, KS, Ashley Herrington and her fiancée Andrew Clark of Haysville, KS; Adam Herrington and his wife Sarah of Haysville, KS and Alex Herrington of Wellington, KS; parents, Allen and Vickie Wilkerson of Valley Center, KS; sister, Tina Andrews of Medicine Lodge, KS; grandmother, Jean Neal of Larned, KS; 10 grandchildren, Makenna, Ava, Aryia, Ali, Emma, Lance, Connor, Lainie, Zaylee, and Corbin. Funeral Services will be held at the First United Methodist Church on July 19, 2018 at 10:00 A.M. Pastor Andy Hargrove will officiate. Interment will follow the service at Prairie Lawn Cemetery. Visitation will be held at the funeral home on Wednesday, July 18, 2018 from 1:00 – 8:00 P.M. The family will be present to greet friends from 6:00 – 8:00 P.M.
A memorial has been established with the First United Methodist Church in lieu of flowers. Contributions can be left at or mailed to the funeral home. Frank Funeral Home has been entrusted with the arrangements. Found a better obit so replaced the other one. Carl and Toni were married December 26, 1991. He preceded her in death June 17, 2009. Carla Sue Wood, a resident of Tulsa, passed away May 6, 2018 at the age of 70. She was born May 20, 1947 to Edward and Joy (Winters) Jones in Kingman, Kansas. Carla graduated from Jenks Beauty School in the 70’s. She enjoyed knitting, crocheting, shopping, ceramics, sewing and playing the piano. She enjoyed taking cares of her many different animals over the years and Volunteered at the animal shelter. She made bamboo flower arrangements and loved giving them to people. Most of all she loved spending time with her family. She was just all around good at anything she did and will be missed by all that knew and loved her. She was preceded in death by her parents, Ed and Joy Jones; great grandchildren, Memphis, Beau and Jack White. Survivors include her husband of 51 years, Donald Wood; daughters, Elaine Murphy and husband, Clint of Bristow, Kimberly Fisher of Wichita, KS and Kristy Fincannon and husband, Jason of Sand Springs; grandchildren, Jenna and Christopher White, Kristen Freeman, Savannah Still, Lindsay Whitehouse, Cole and Joshua Fincannon; great grandchildren, Brock Still, Owen Freeman, Kinadey Still, Jacob Luke Freeman and Miles White; brother, Rick Jones and wife, Lynda; niece, Tonya Wells and Nephew, Josh Jones. Memorial Services will be held at 10:00 a.m. Friday, May 11, 2018 at Saints Peter and Paul Catholic Church in Tulsa. Until we meet again, may God hold you in the palm of his hand . . . Since the 2019 newsletter has gone out . . . Please remember our deceased friends and classmates with a memorial gift to our alumni association. We send a nice card to the family acknowledging your gift. These gifts help your association with on-going expenses of office supplies, postage, etc. Any amount is appreciated. We do not have dues and through these gifts we are able to cover operating expenses and contribute to projects at the school. Your help is truly appreciated. Make your check payable to CHS Alumni Association and send to: CHSAA, P.O. Box 72, Chase KS 67524. Also please specify on your check that this is for the In Memory Fund. Thank you again!